These pretty pearl drop earrings are a fresh, elegant, forever-chic (the list goes on and on) alternative to everyday studs. 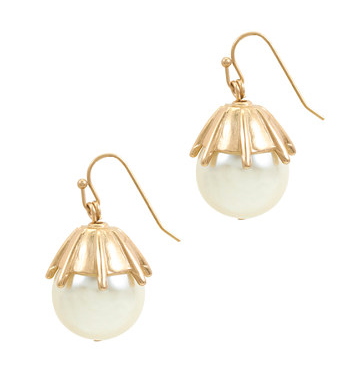 The Jcrew earrings would be $21 if you use EXTRA40 at checkout today! These earrings are so beautiful! !